Several years ago my boys and I made snowmen out of socks. 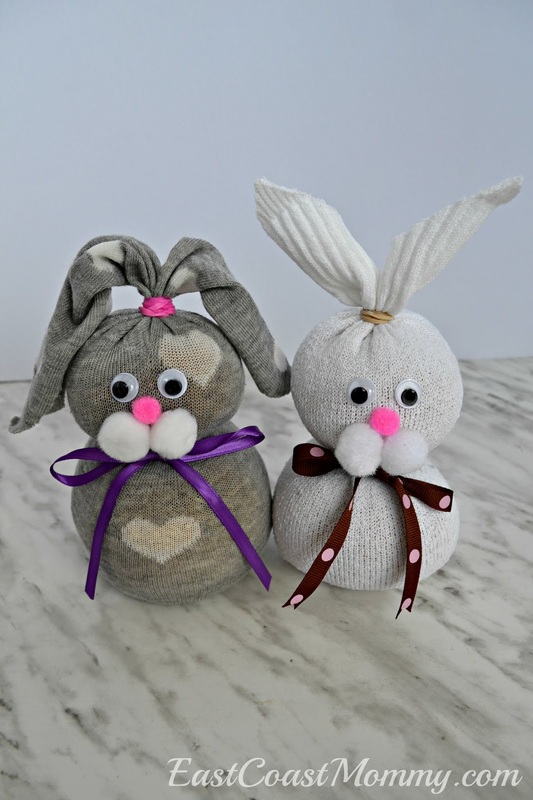 They were fun to make, and absolutely adorable... so I thought it would be fun to make no-sew sock bunnies for Easter. Seriously... how cute are these bunnies?!?! Here is the one I made using a plain white sock. And here is the one I made using a sock with a heart-shaped pattern. I also left the ears "long and droopy" for this one. What do you think? I love that you can get a little creative with this craft. 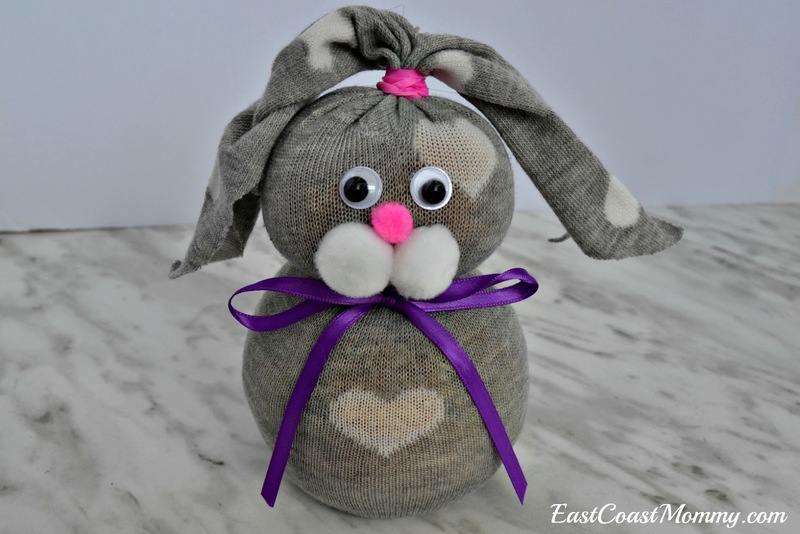 I think I might need to make a whole herd of bunnies. 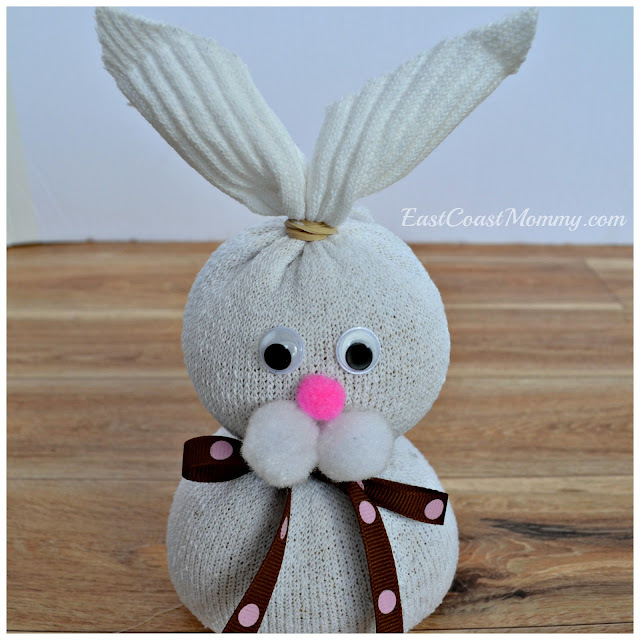 These no-sew sock bunnies make a perfect Easter craft, but you could make them any time of year. I love that you can change the socks, ears, and ribbon. The sky's the limit. 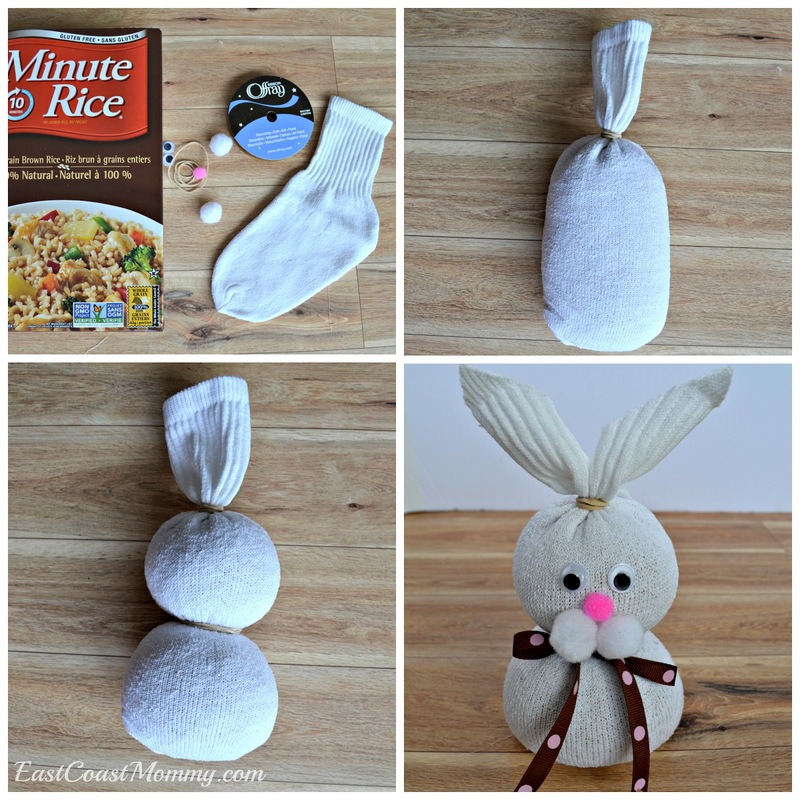 Get creative and have some fun! 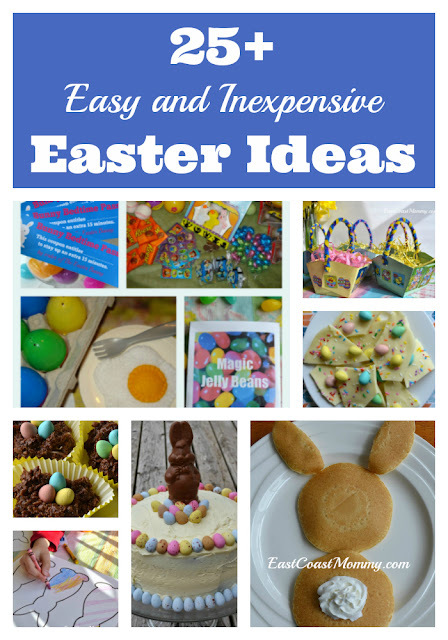 Find more easy and inexpensive Easter crafts, recipes and activities here. 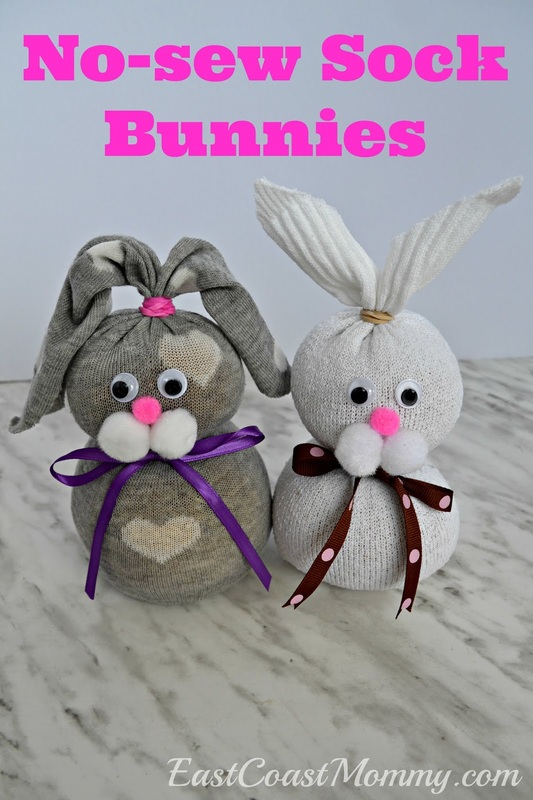 my daughter and I had a ball making them. Some of them are a little lopsided but they are still super cute. Thank you for sharing this!